A loan of $2,250 helped buy a solid truck for my farm! I am an author and small farmer in upstate New York. A few years ago I left my corporate design job to follow my dream of being self employed on my own farm. Here I raise sheep, dairy goats, pigs, poultry and work with a draft horse. I also teach classes in everything from fiddle 101 to Meat Rabbits. I hope to keep this farm going strong, with the business being a mixture of agriculture, teaching, speaking and writing gigs. It aims to support a woman business owner and her small farm. 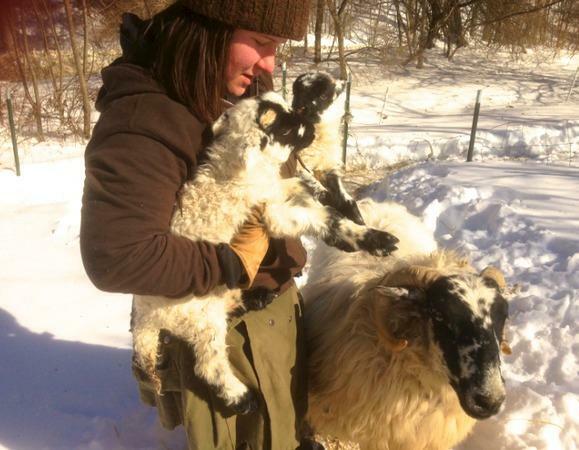 Cold Antler Farm is a place that provides good food, teaches music, homesteading skills, and creates books and essays. People travel from all over the region to take up the fiddle or learn to raise backyard chickens. CAF is the marriage of my two biggest passions - seasonably living on a small farm and sharing it through those lessons and my writing. I started Cold Antler as path to a creative life outside the 9-5 office world. I purchased this home in 2010 and since then have spent the last 5 years making it a place for education, creativity, and my own adventures with agriculture and equines! I currently have a truck that is no longer dependable and has been demoted to "Farm Truck" status. I am looking to buy a good condition, older, pickup for everyday use for the farm. A truck you can drive to the feed store, lumber yard, butcher, post office or to grab hay with. I am looking to buy a good condition, older, pickup for everyday use on my small farm and writing business - something to pick up firewood and hay bales as well as drive to speaking events and book signings.